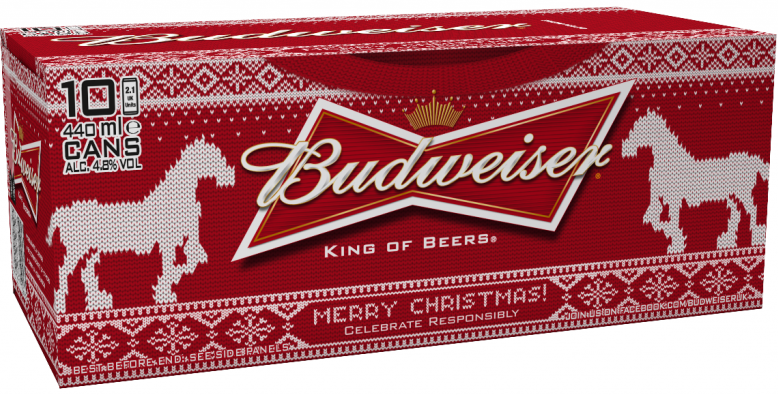 Following in the footsteps of Coke Zero’s Sweater Generator fun-packed contest, Budweiser has introduced its own sweater-themed promotion in line with the holiday knitwear season. 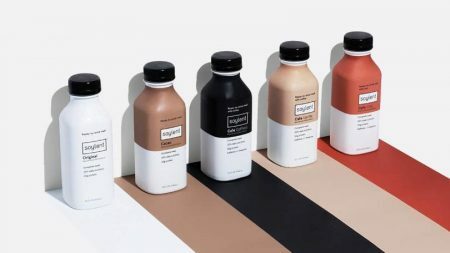 The beer brand fosters a little revolution in sweaters production, making grannies step aside and give way to contemporary installations, powered with social media. 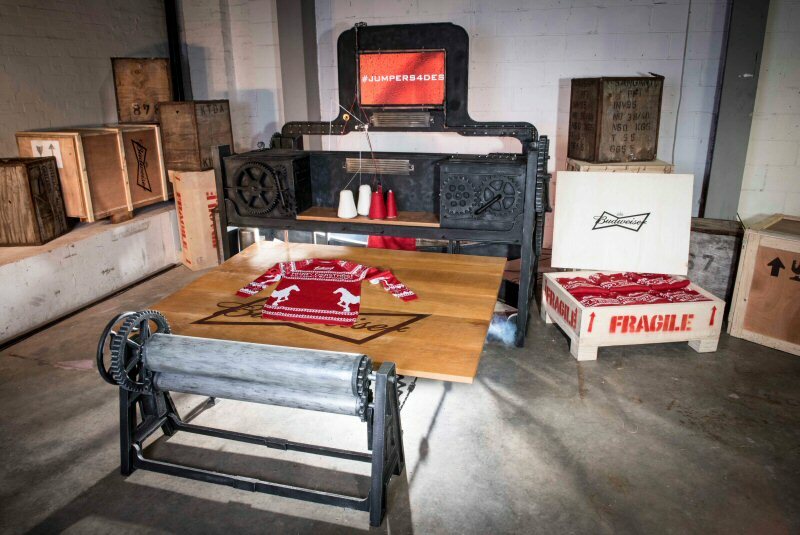 Budweiser’s Twitter-powered knitting machine, Knitbot, creates sweaters fueled with tweeted commitments to not drink&drive. Knitbot is based on a regular knitting machine that has a contemporary twist—is uses a special chip that reacts to tweets featuring the #jumpers4des. This hashtag is used in micro posts in Twitter that signal of people’s commitment to be sober behind the wheel. As to the sweater itself, it is red and features a festive motif, encompassing white snowflakes and signature Budweiser Clydesdale horses. The sweaters will be knitted for ten days, from November 26 through December 10. Once the creation phase is over, fans who are part of designated drivers community will be able to apply on Budweiser’s Facebook page (not available at the moment) for a chance to win one of the knitted pieces and proudly wear it during the holidays. The design used in the sweater can also be seen on the limited edition Budweiser can packs launched to remind consumers to celebrate this festive season responsibly. The Budweiser Celebrate Responsibly Christmas jumper packs are available in Asda, Sainsbury’s Tesco and Morrisons supermarkets across the UK. Budweiser will also sell Christmas Give Back packs in Asda supermarkets—a percentage from the proceeds will be donated to the charity RoadSafe. The non-profit organization is raising awareness of road safety problems, promoting and advocating for sobriety behind the wheel. 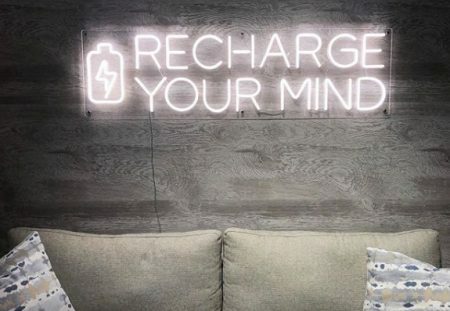 Posted in Social Media, Sustainability and tagged alcohol drinks, beer, Budweiser, festivals and competitions, health and wellbeing, holidays, Twitter, UK. Bookmark the permalink.